Welcome to the CardMaker & The Twinery Blog Hop. You should have arrived here from Melyssa Connolly's blog. 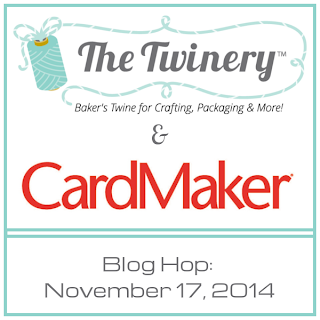 If not, click on over to the CardMaker Magazine Blog to get started. 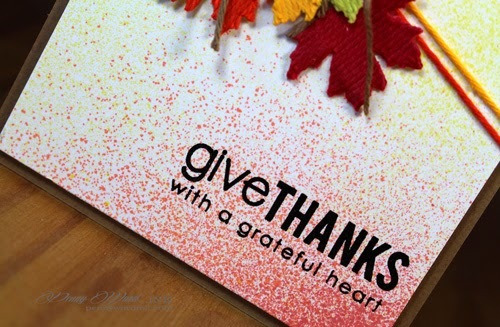 A faux watercolor background, and stamped greeting. Added a threaded needle for fun! Did I mention there will be prizes ? You must comment on each stop of the Hop for an entry! ..... or some Fall Twine Leaves? Background is spritzed, plus a stamped greeting. 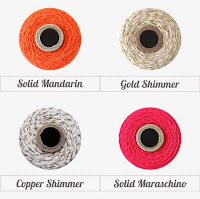 Our twine is made from 100% cotton (and some of our twine is twisted with gorgeous metallic string!) and made in the USA. Whether you're gift wrapping, crafting or tying up baked goods to give to a friend, our baker's twine adds a fresh, yet nostalgic look to any project at hand! 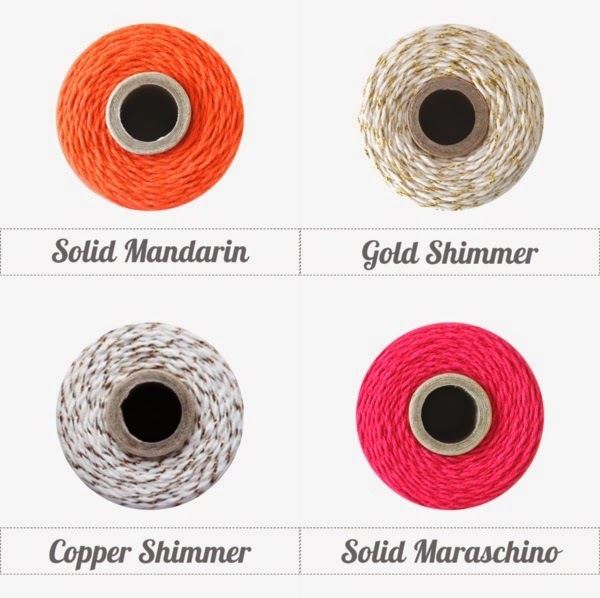 Our baker's twine comes in an assorted array of delicious colors and is uniquely twisted against a bright white hue, creating an eye-popping burst of color and a creative embellishment! 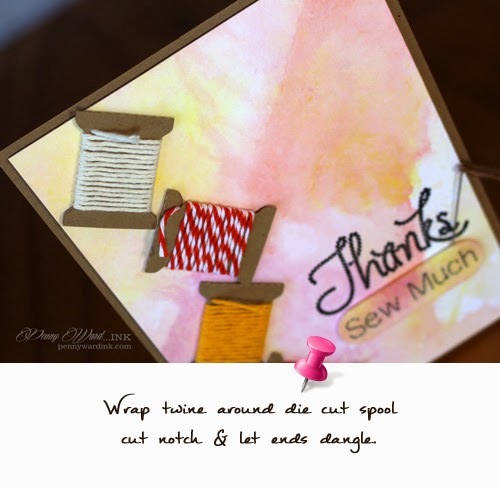 Our twine has lots of color which lends to a fun, candy-striped look. Penny Ward - http://www.pennywardink.com/ YOU ARE HERE! before you head on over to Katarina's Blog. Imagine Crafts/Tsukineko: Memento Luxe Morocco, Rhubarb Stalk, Dandelion inks. Versafine Onyx Black ink, Clear Embossing Powder. Fireworks sprays; Dandelion, Tangelo, Rhubarb Stalk. Ooooh your leaves look great and I am loving the spools of Twine--clever! TFS!!! Love the leaves made out of the twine. Great idea. Awesomely creative ideas for using twine, Penny! Beautiful cards! Two great cards. I really like the fall leaves! The tip is great I will try this! What a great idea to wrap the twine on the spools of thread. That's brilliant! I also love the Fall card. I love the twine bow! Such textured cards! I like the depth. Great cards and beautiful designs! 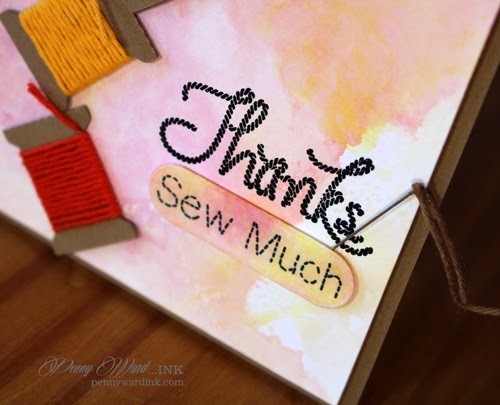 Love the spools - perfect way to add dimension and texture! 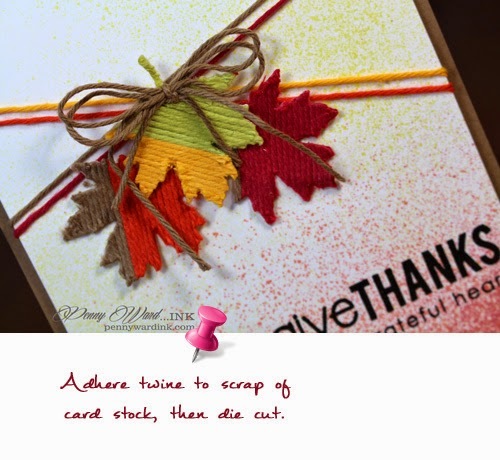 Great backgrounds on both cards and love how you used the twine on the spools and for leaves. 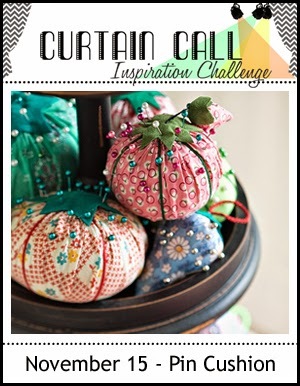 Love the spools of thread, great idea. TFS. Two great ideas but the spools really got me. 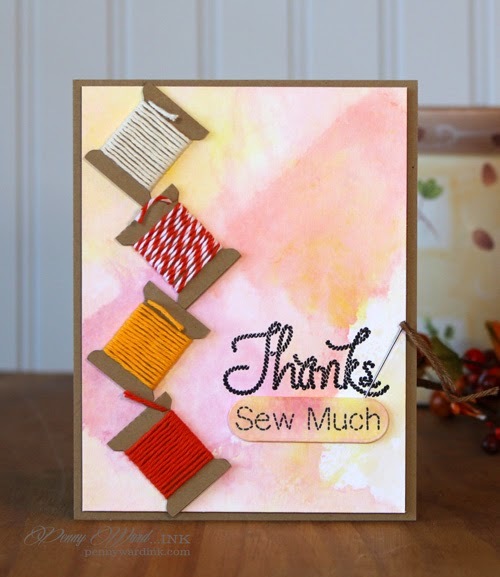 I love how you added the twine to them and put the rest of the card together. wonderful cards, there are so pretty!!! Both fantastic cards. Thank you so much for sharing with us at the Curtain call! Wow Penny, your cards are amazing!!! These are both sweet as can be! Love all your spools on the first one. And the leaves on the second are amazing! Thanks for joining us at the Curtain Call!